It is with great pleasure The Sound Clique features the legendary Darren Emerson, former member of Underworld, founder of Underwater and Detone label, as well as the mysterious and highly successful The White Lamp project. Naturally gifted and instinctive about music at 18 years he become the third member of Underworld. 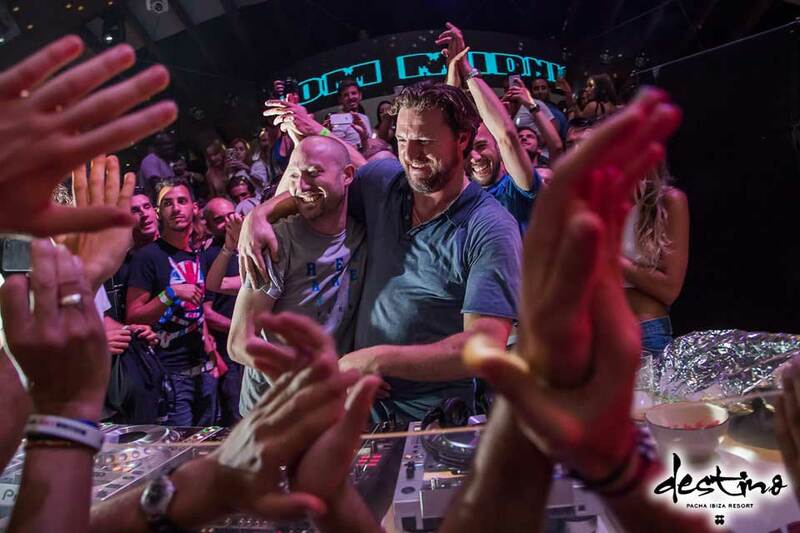 Together they sold millions of records and became mainstays at global festival circuits and took techno and dance music to stadiums for the first time. Parting ways with Underworld – Darren has emerged as a sought-after remixer for talents such as Sasha, Depeche Mode, Bjork and The Chemical Brothers. The interview reveals more of Darren’s accomplishments of over 3 decades – and it’s exciting to know that there is so much more to come! With only one thing left to say – The Sound Clique welcomes Darren Emerson to Copenhagen and is looking forward to hearing him play this Saturday 18.03 at Culture box for the monthly What Happens party. Hello Darren! It is an absolute pleasure having you featured on our Behind The Decks series, where we get personal with DJs about their musical careers and more. You are a pioneer DJ and an innovator, with over 3 decades of DJing, producing and label managing on your resume. Could you give us a quick overview into your beginning as an artist? How did everything begin for you? I started mixing Electro /Hip Hop records at the age of about 14, and by 16 I was DJing and playing Chicago House – Acid and Detroit Techno at local clubs in Essex. From then I started getting gigs in London and UK venues. I joined Underworld in 1990 after a introduction to Rick & Karl. I was with them for 10yrs and in that time we had great chart success with the 3 albums and many singles over that 10 year period. In 1994 when I was still in Underworld, I started my own label Underwater. Underwater became a great success over the years also making great parties around the world and having a Pacha residency in Ibiza for 4 years. After splitting with the boys in 2000 I released compilations on Global Underground and Detone launched in 2012. More recently I’ve released ‘Fanfare’ a collaboration with John Digweed & Nick Muir on Bedrock and a remix of Matador’s ‘The Resort’ on Ruckus. In 2017 I’ll be releasing a number of tracks on Carl Cox’s label Intec Digital, Eats Everything’s Edible label and much more. Also more Detone releases. 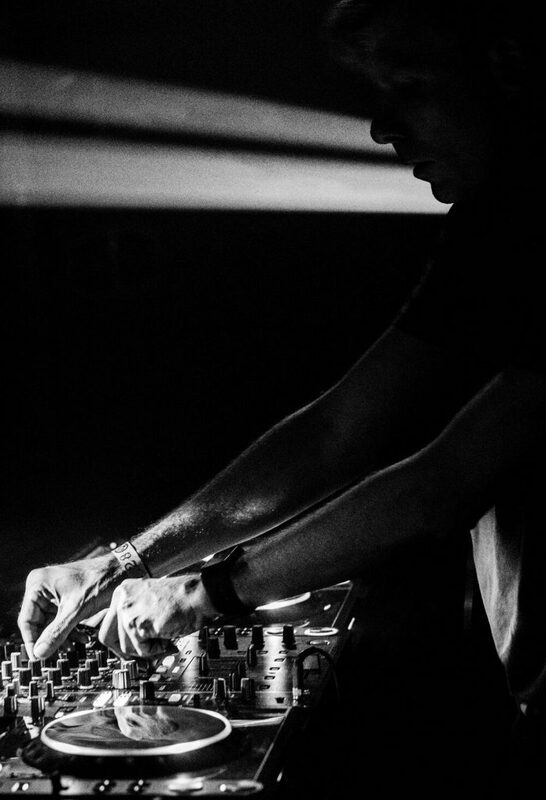 As a member of the renowned electronic music group “Underworld” you not only created techno anthems like “Born Slippy”, but also influenced generations of artists through time with your releases. Could you tell us a bit about Underworld’s music vision back in the 90s and your breakthrough as a group? I was a young DJ looking to move on and work in a studio. Rick and Karl had just been dropped from their record label and wanted to get into the dance scene that was bubbling.We met through Rick’s brother in law. I would teach Rick about the cool Techno, House and Balearic trax that I was playing out and I would be learning from Rick how to work the studio. Our vision was just to make people dance.The fusion of my electronic drum/dance knowledge and Rick and Karl’s 80’s feel.It just seemed to work. Because of my residency at Ministry Of Sound We had our 1st live gig and took off from there. Moving on to you and your first label. Whilst you were part of Underworld you launched your own label “Underwater”. Over the years you’ve shown that you like change and moving forward. What was the motivation behind Underwater? Moreover, could you tell us about the shift of music style that happened over the years concerning the label and why did you decide to close the label down after so many successful releases, residency in Pacha, Ibiza and more? I started Underwater in the early 90’s. It was a platform to put out friends music who i met on my travels and also so I could put my own music out. Underwater was mainly Techno and House music and was most probably one of the first labels to put out the early “Tech House” tracks. I had great releases out. From Gus Gus, Paul Woolford, Tim Deluxe, Steve Rachmad, Christian Smith a guy from Denmark called Rune RK/Kolsch to name just a few. We also had great nights around the world.. The End in London was always rocking and of course 4 years residency in Pacha Ibiza was pretty special but after 15 years I decided to move on and finish Underwater and leave it on a high. I took some time off (family) before I started up Detone and jumped back not the studio. You’re not only a pioneer that influenced the early development of techno, but also a very successful and active artist today. What are your current inspirations when working on new projects? And what is your view on the electronic music today compared to in the early 90s? I like to listen to most music when I’m chilling, running or cooking 😉 I listen to a lot of alternative music, funk, soul, you name it I’m all ears. I suppose everything that goes in comes out in some sort of way in the studio. I think music tends to go round in circles and I hear elements of 90’s dance popping up in current tracks. These days in the digital world, it’s easy to get your hands on equipment. Things are so much easier and accessible. So a lot more music coming out every day. Going back in time, could you tell us more about your relationship with Global Underground and what was your approach when you did the legendary compilations for 015 – Uruguay and 020 – Singapore? I have a good relationship with the boys from Global Underground. I knew them when they were recording DJ’s onto cassettes long before they were putting out CD’s. They were always on my case to make something for them but I always declined. I eventually gave in and we anded up making 3 GU compilations. I did Uruguay, Singapore and Bogota. Each place and party was amazing. Basically recorded the live sets, took it back, cleaned it up on Pro Tools so it sounded good for a worldwide CD release. We’ve heard so much already about your past work, projects and releases. Is there anything new you’re working on and that we should be excited about? I’m back in the studio every week working on projects and remixes. At the moment i’m just finishing off the next collaboration with John Digweed and Nick Muir which is called “Tracer”. I then have 2 remixes out next couple of weeks. One by Transcode – Monolith and another by Jamie Anderson coming out on Bedrock. I then have a 3 track EP coming out in April on Carl Cox’s Intec label titled “Deadlock EP”. I’ve just finished a new release for my Detone label which will be out next couple of months. I also have another EP coming out in the summer June/July on Eat’s Everything’s Edible label with 2 tracks “Birdcage” and “Jupe”. Then I’m just launching a new label for my White Lamp Project. The 1st release on that is a track we’ve done called “Harmony” with MaxxiSoundsystem and Ron Basejam remixes. They’re amazing! Then I also have another project with Nick Littlemore from Empire Of the Sun/Pnau. This will be 4 track EP and looking at releasing that over the Summer. Your last release on John Digweed’s Bedrock Records called ‘Fanfare’ is amazing, we really like all the mixes. Could you tell us what hardware equipment did you use for making it? Any interesting plugins worth mentioning? 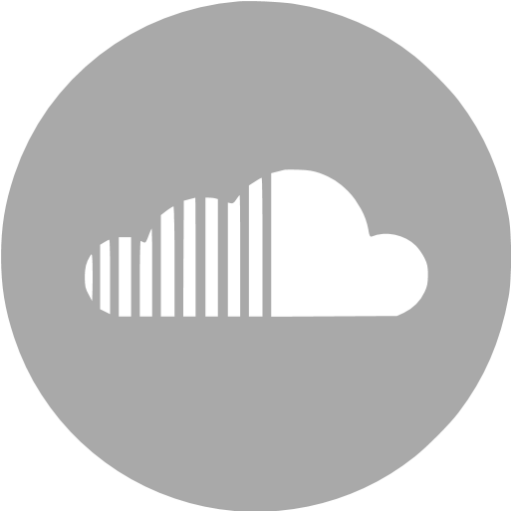 Thank you 🙂 I used Plugins from UAD, Brainworx, SPL, Native Instruments and Uhe Hardware – Jupiter 8, Nord Lead, Yamaha Analogue Delay Model E 1010, Distressors, Tr-909, Tr-8. In an interview with Skiddle last month you mention that you will be launching a White Lamp label, based on your mysterious and quite successful ‘White Lamp’ project. What inspired you to start this new label? What is the idea behind it and when can we expect the first release? I have had 3 White Lamp release out on Futureboogie, Sonar Kollektiv and Scuba’s Hotflush label. So I though it was time to start a White Lamp label to put out music anytime we wanted. No waiting.. and basically use it as a musical playground. It’s your first time playing in Culture Box in 11 years and your first time for Tim Andresen’s ‘What Happens’ party. What do you remember from your first gig in the club back in 2006? I remember it was rocking and also hanging with my good old friend Rune RK/Kolsch and his brother. Driving to the gig in a big old classic American car. That’s not bad for 11 years ago right 🙂 ? You say you enjoy playing both huge festivals like Glastonbury and small, intimate clubs where you can play longer sets (like Culture Box). There is an active debate that more clubs and festivals should offer longer time-slots to DJs, so they can showcase their skills and really take the crowd on a musical journey. What is your opinion on that? Yeah I agree.The big shows are always too quick..That’s why I like the small clubs ..Can’t wait for Saturday! And lastly, do you have any expectations before your upcoming gig this Saturday and what would you like to say to the crowd here ahead of the event? 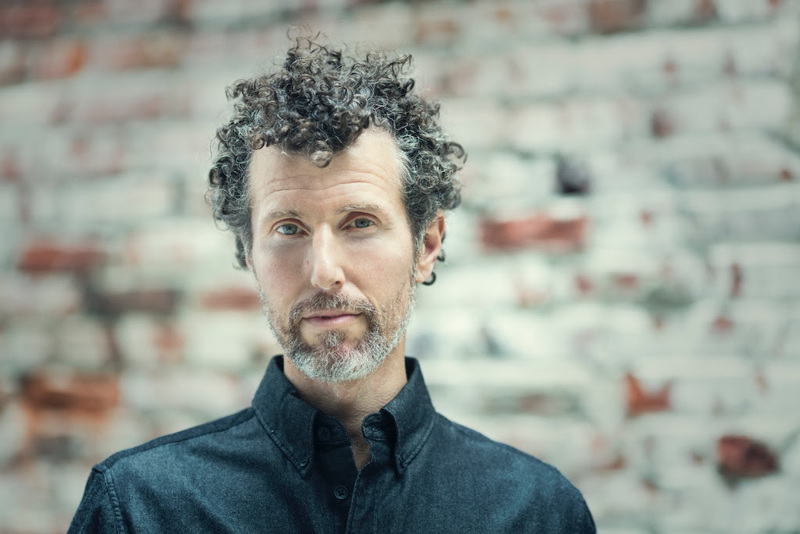 Darren Emerson is playing this Saturday at Culture Box, DK headlining the What Happens party. 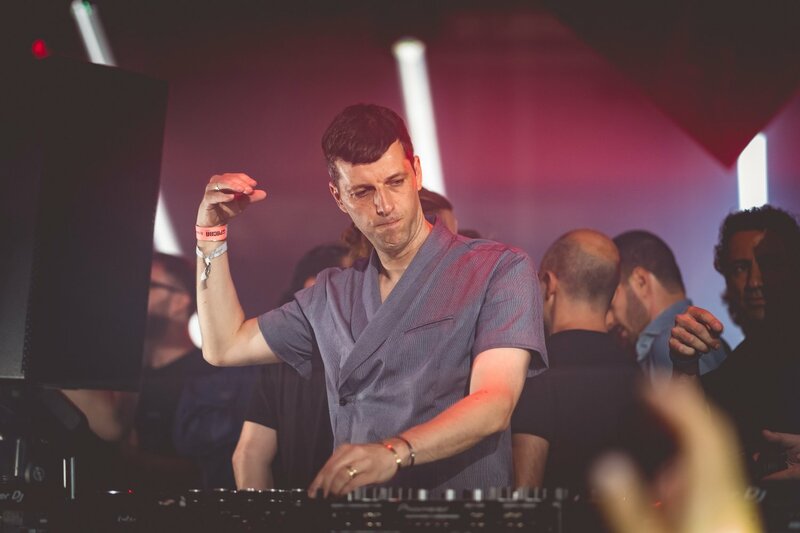 Warm up and closing as always will be by the label’s head honcho Tim Andresen, and the Red Box will host the DJ duo The Hunts, joined by Bendix. Link to the Facebook event here. For live updates and photos from the event connect with us on Facebook and Instagram. 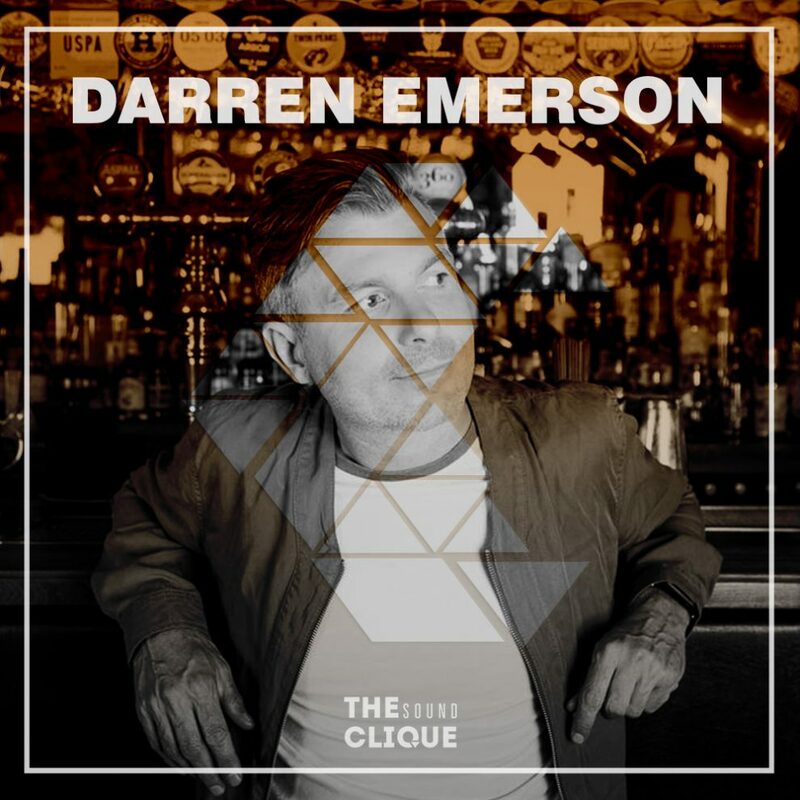 Connect with Darren Emerson on Facebook and SoundCloud.